Aquadynamic 3/4 in. Copper Pressure 90 Elbows are used to add a quarter bend to water supply piping. 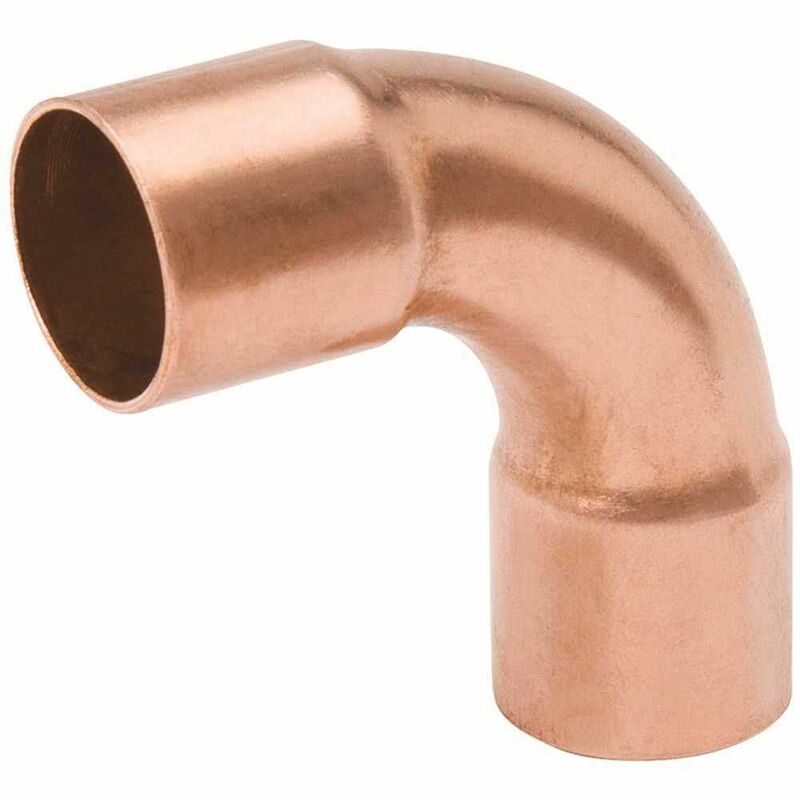 The Aqua-Dynamic 1-1/2 inch Fitting x Copper 45 Degree Street Elbows are used to add a 45 degree bend to DWV tubing for copper Drain, Waste & Vent lines. The Aqua-Dynamic 1 1/2 inch Copper Pressure 900 elbow is used above ground for water supply lines. Used to add a quarter bend to water supply piping.